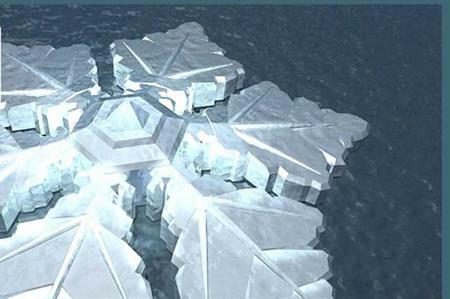 Construction on a floating snowflake-shaped Krystall Hotel in Norway will begin next year, with the opening date scheduled for 2017. The 86-room hotel will float between fjords near Tromso and will give corporate groups the opportunity to experience the Northern Lights. The architect firm behind the design of the hotel, Dutch Docklands, has stated that while having the offerings of a five-star hotel, the resort will not inflict any long-term damage to its natural environment.